What is Advanced First Aid? Advanced first aid refers to the combination of knowledge, training and techniques needed to effectively administer and manage instant care to individuals who were suddenly attacked by multiple injuries or illnesses. It needs a higher level of skills and expertise since it involves the use of more advanced and specialized equipment. Advanced first aid is usually administered to a patient as a means of preventing further complications from an injury or illness until a more trained or experienced medical professional arrives to give assistance. It also encompasses the treatment of certain health conditions by supporting the airways, breathing and blood circulation of a person. If you want to know what is first aid and the many advanced procedures and equipment that you can use to successfully carry this out, then you should consider enrolling in the advanced first aid certification program which is now available at Brainmeasures. This advanced first aid course covers all aspects related to the field so you can expect to perform all the life-saving procedures correctly, thereby allowing yourself to provide your expert knowledge in this field to anyone who needs it in case of emergencies. 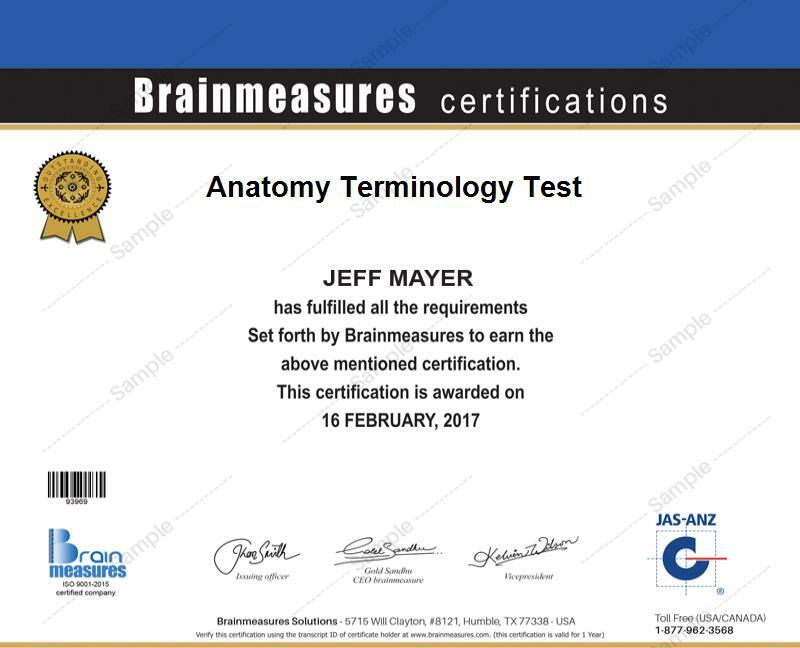 The good thing about Brainmeasures is that it has already received its ISO certification so you have a hundred percent assurance that all its online certification courses run based on high quality standards and regulations. Through this online first aid certification course from Brainmeasures, you will get an idea about the different strategies that you can use to save life until more experienced medical professionals arrive. The first aid training which you can get from the certification course is not only comprehensive but highly advanced as well and this is a huge help in making sure that you are doing all the advanced procedures in the safest way possible. Completing the advanced first aid certification course will allow you to finally take a hold of your certificate and start helping others with your expertise and skills. Enrolling in an advanced first aid certification course is extremely beneficial for all types of individuals since this is a huge help in honing one’s skills in providing immediate support to anyone who is in danger. This certification program is most suitable for individuals and professionals who want to improve their expertise in handling emergencies and hold a position which focuses on reviving those who suffer from injuries and sudden attacks to their health. If you want to take up an advanced first aid certification course but you are worried about the specific amount of salary that you can receive from this profession, then rest assured that the amount that you will earn from this is a huge help in improving your financial stability. As an advanced first aid certification holder, your annual earnings will range from $35,000 to $130,000. The amount which you can receive will be fully dependent on the kind of position that you hold, the level of your expertise and the specific medical industry and location where you are working.